3 for $56.85 total Need more quantities? Dainty, lavender-blue flowers with recurved petals nod like little bells on this old-fashioned climber named for the horticulturist who discovered it in 1932. Vigorous and lightly fragrant, 'Betty Corning' blooms on new wood. Let your vine ramble through a shrub, such as dark-leaved Sambucus 'Black Lace'. Given the Award of Garden Merit by the Royal Horticultural Society. Pruning group 3. For beautiful colors, extravagance of blooms, and graceful habit, nothing compares with Clematis, the queen of the flowering vines. Whether used on posts or fences, clambering through shrubs and trees, or following wire frames in borders, they will enrich the landscape. Give them good, reasonable moisture, and shade at their roots. For more information on growing Clematis, click on Growing Guide. The Betty Corning clematis is lovely, vigorous, and requires little care. I simply cut it back to about 18" above the ground in the early spring and let it go, except for the occasional watering. The new sprouts twine easily and will quickly cover a 6-foot-high trellis, reaching out at times to grab onto adjoining trellises. The vines are laden with blue flowers for weeks on end during the summer. This very diverse group of lovely, ornamental vines will entice you to garden on the vertical plane. There's a Clematis for virtually every situation: grow the shorter and non-climbing types through shrub Roses and small trees and cover an arbor or a trellis with the taller varieties. The long flowering season begins with the compact alpinas and macropetalas in early spring, progresses through early summer with the large-flowered hybrids, continues through late summer with the boisterous texensis and viticella varieties, and concludes with the exuberant and infallible Clematis paniculata that will literally cover an unsightly structure or arbor in one season. In general, these lush vines like at least 6 hours of sun. Some varieties are adapted to partial shade and all benefit from afternoon shade in the South. Clematis prefers a cool root run, so lay flat stones at its base, or plant annuals or shallow-rooted perennials around them. Regular watering is desirable, especially during seasonal dry periods. Clematis is deep-rooted, so water thoroughly. Clematis is at its best in rich soils with good drainage. It prefers a neutral soil, so check pH and add lime if needed. Dig a generous hole and amend soil as conditions indicate, avoiding fresh manures. Plant the crown of your plant 3–4″ below the soil surface; this will protect dormant buds that will provide new growth if the existing stem(s) are injured. Provide support immediately or plants will languish. Clematis is a heavy feeder; supply a low nitrogen fertilizer such as 5-10-10 in spring, when the buds are about 2″ long. Alternate feedings every 4 to 6 weeks with a balanced 10-10-10 fertilizer. Continue this alternate feeding until the end of the growing season. Clematis is susceptible to fungi that can cause the vine to suddenly wilt and turn brown or black. Carefully prune out all diseased tissue and destroy; disinfect your pruners with a bleach solution. Generally this disease is not fatal, especially if you have planted the vine correctly, as dormant buds will send up new growth from the crown. Handle gently when planting and be careful when cultivating, as physical injury to the stems can cause them to wilt and die. Plant these lovely vines at the base of shrubs and small trees; they will weave their way through the supporting foliage and extend the season of interest with their showy blooms. Use the woody structure of Shrub Roses to support the non-clinging Clematis varieties; for instance, grow purple or blue Clematis through a yellow Shrub Rose for a fabulous contrast. Remember that a supporting woody plant will compete with the Clematis for water and nutrients and adjust your culture as necessary. To promote reflowering for late season bloomers during the growing season, the vine can be cut by one-half after the main bloom period. Varieties that flower on old and new wood will often throw out a few blooms at the end of the growing season. Young vines may be moved with plenty of soil as long as they are watered religiously. Depending on variety, cut back lightly or severely before moving in early spring. Dead or damaged stems may be removed at any time. Early in the first spring after planting, prune the stems of all Clematis varieties down to the lowest pair of healthy buds. Thereafter, prune to control size and shape or to encourage more profuse bloom. Flowering tends to decline on stems that are four or more years old, so it's a good idea to prune out very old stems periodically in early spring. This pruning helps produce more compact plants with flowers closer to eye level. Sometimes, on older vines, the flowering is confined to a small area at the tops of the stems. If you wish, you can rejuvenate old plants by cutting them back severely, to about 18". Wait until after the first flush of bloom to perform the surgery. Group II plants bloom first on old wood and then again on new; prune lightly in early spring to shape and remove weak growth and then prune after bloom if desired. Group III plants all flower on new growth and can be cut back to 12″ in early spring. This group is ideal for growing through shrubs as all old growth is removed annually. Plants may be mulched, but take care to keep mulch material away from the crowns and stems of the plants. Check to make sure that the vines of Group I and II plants are tied securely to supports to withstand winter winds. Fertilize with 5-10-10 when new growth reaches two inches. If you need to move a plant, transplant young vines now. Wait until new growth appears before removing dead or damaged stems and before pruning as required by variety: leave Group I Clematis alone; prune Group II plants lightly to shape and remove weak growth; cut Group III varieties back to 12 inches above the ground, or higher if you desire taller vines. 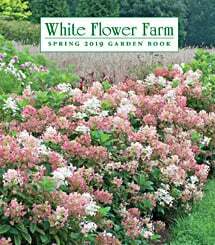 If this is the first spring after planting, prune stems of all varieties down to the lowest pair of healthy buds to encourage strong growth and new stems. Continue feeding every month, alternating 5-10-10 with 10-10-10. Plant annuals at base of plants if unprotected by flat stones to allow for a cool root zone. Gently tie vines to supports as they grow. Cultivate around vines with care as physical injury will cause wilting and death of injured stems. Continue to guide new growth by tying to supports as needed. Lightly prune Group I Clematis immediately after flowering to shape the vines if needed. Group II Clematis may be pruned back by one-half after main flush of bloom to encourage strong growth and new flowers. Continue to water if conditions indicate. Check to be certain that the vines of Group I and II varieties are tied securely to supports to withstand winter wind and snow. Mulch if desired, keeping material away from the crown. If the season is dry, water well and deeply.